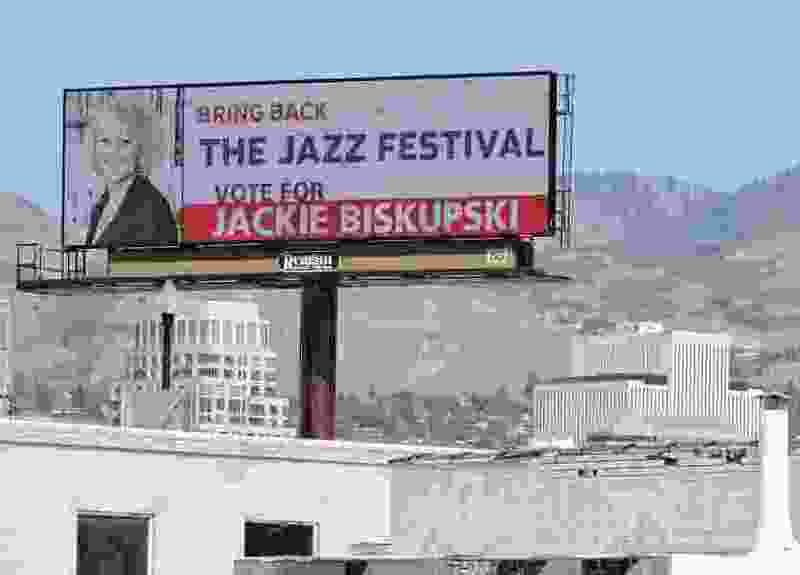 (Lennie Mahler | Tribune file photo) A billboard for then-mayoral candidate Jackie Biskupski near the 600 South exit of northbound I-15. Reagan Outdoor Advertising maxed out on donations to Biskupski, then started a PAC to spend far beyond the city's contribution limits. Cities say the outdoor billboard industry — a big donor to Utah legislators and other politicians — is pushing a bill to win powers that courts recently ruled it lacks, including authority to switch out many signs for bigger, lighted or digital displays without local approval. The billboard industry and its legislative allies downplay such arguments as mostly misunderstandings and promise to try to resolve them. As a backdrop to the controversy, the industry is a top donor to lawmakers. In the election year of 2016, Reagan Outdoor Advertising, for example, gave a combined $79,630 to 75 of Utah’s 104 legislators. That was the third-largest amount of any donor, and often went for in-kind use of billboards for campaigns. The company also donated more than $173,000 to all politicians that year, and an additional $81,000 last year — mainly to candidates running in 2017 local municipal races. Amounts included $1,700 to House Majority Whip Francis Gibson, sponsor of the current bill. Disclosures show that Reagan gave him another $1,000 on Jan. 19 this year, three days before the legislative session began. Lawmakers are banned from accepting donations during the general session. 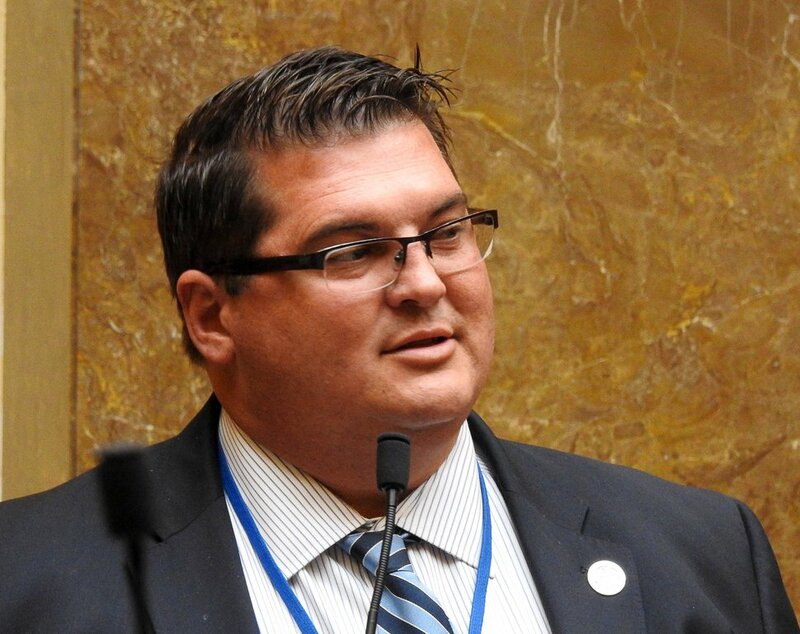 Gibson, R-Mapleton, and Reagan’s lobbyist, Nate Sechrest, jointly explained the new billboard bill, HB361, to the House Transportation Committee last week in a hearing, where opposition from the Utah League of Cities and Towns became public. Trent Nelson | The Salt Lake Tribune Rep. Francis D. Gibson, R-Mapleton, as the Utah State Legislature meets in Salt Lake City, Tuesday Jan. 24, 2017. Gibson said the measure seeks to better define a method of putting a value to signs that are essentially condemned by cities. Under current law, he said firms wishing to relocate signs may do so anywhere that is mutually agreeable with a city within space limits, or the city is considered to have condemned it and must pay for it. But the Utah Supreme ruled last year in Outfront Media v. Salt Lake City that a separate law, the Billboard Compensation Statute, guides the process. The court said the only part of eminent domain laws that apply are how to value condemned signs. That’s important because Outfront had alleged Salt Lake City illegally blocked relocation of a sign because then-Mayor Ralph Becker took the action, not the City Council. It argued eminent domain laws require the top legislative body in a city to make such decisions. But the court said such laws generally do not apply. The new bill would ensure that eminent domain laws do rule, and could give elected city council members final say on billboard relocations instead of other city officials. In 2015, a political action committee with ties to Reagan Outdoor Advertising put up billboards for all opponents of Becker — who had long fought the industry and what he said was the blight it caused along highways and entrances to his city. Becker lost that race to current Mayor Jackie Biskupski. 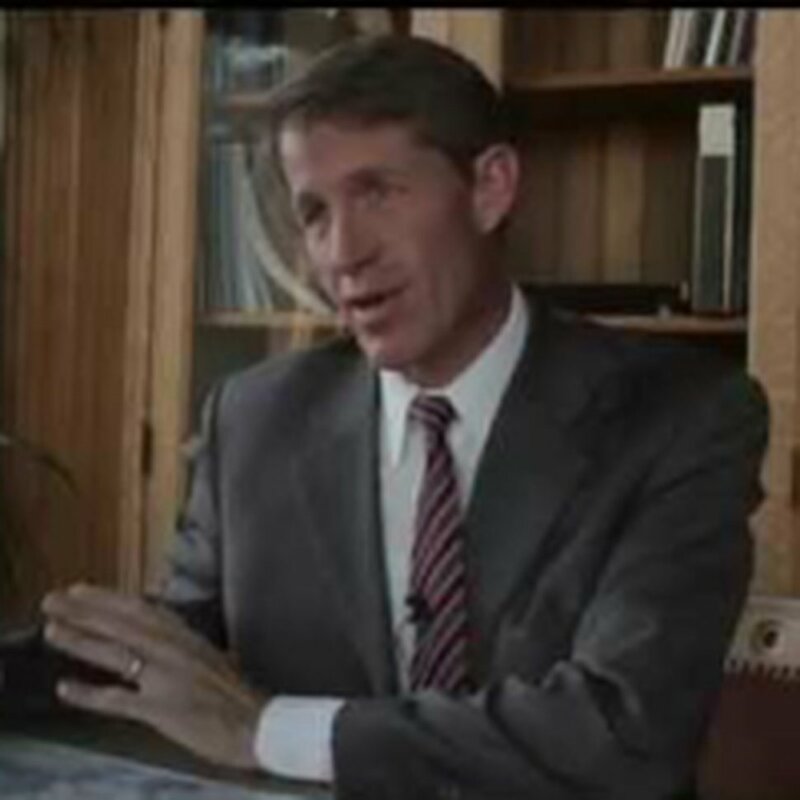 Layton City Attorney Gary Crane, testifying for the Utah League of Cities and Towns, complained that using the eminent domain process as proposed in the bill could take two years to condemn and value billboards when cites don’t agree to proposed relocations. He added, “That would be as to location, setbacks, heights or building permits. There has to be some further city approval to make sure that a sign is safe, and to make sure it meets the requirement of the code — even if it is relocated.” In short, he said, it’s a tricky way to take control away from cities for the placement of signs. | Courtesy Lynn Pace is the new senior adviser, Intergovernmental Affairs, for Salt Lake Lake City Mayor Jackie Biskupski. Gibson, however, said, “90 days should be reasonable.” He said if a city essentially condemns a sign, “then it should move up your priority list of things to do” to agree to a relocation or compensation. Pace said other wording could also give billboard firms new powers. “This bill, under the language drafted, would allow for virtually unilateral conversion of any billboard to a digital or electronic format, and that’s a concern to us,” he said. “There is a provision in the law that says that if the sign is blocked — you can’t read it — you can either raise it or relocate it to another site. This bill would give them the right to relocate it and raise — both of those. That issue was litigated in court, and the court ruled you get to choose between the two, but you don’t get both,” Pace said. “We just want you to know this bill addresses much more than just process” of valuing condemned signs. Despite concerns raised by cities, the committee endorsed the bill 8-0 and sent it to the full House — but members asked Gibson, the industry and the cities to try to resolve differences and bring an amended version to the House. Seven of the eight committee members took donations from the billboard company during their most recent campaigns — ranging from $500 to Rep. Walt Brooks, R-St. George, to $1,400 for Reps. Karen Kwan, D-Murray, and Logan Wilde, R-Croydon. Gibson said he is willing to discuss issues further.